Bo'ness United manager Steve Kerrigan has resigned in the wake of his side's heavy 5-0 loss at Tranent in Conference B on Saturday. 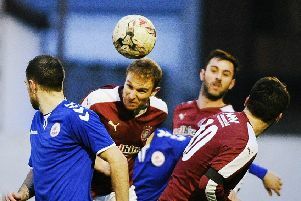 United shipped five second half goals at Forresters Park, where they imploded after a decent opening period and also had experienced defender Stuart Hunter sent off to compound their misery. Kerrigan was in charge at the BUs for a year, after taking over from Allan McGonigal who had also quit as gaffer. Andy Shirra has taken over from Kerrigan as Bo'ness manager until a permanent replacement is confirmed.